They say that the best things are for free, and as cliché, as it might sound, it is actually true. Nature has provided so many resources to help us attain comfort, and this applies even in beauty products. It’s the desire of everyone to be beautiful and thanks to essential oils and other natural products, you don’t have to expose yourself to the cacophony of toxic ingredients used in commercial makeups. You can make your beauty products from the comfort of your home and what’s even more riveting is that they are entirely natural, affordable and you get to customize them depending on your skin type. 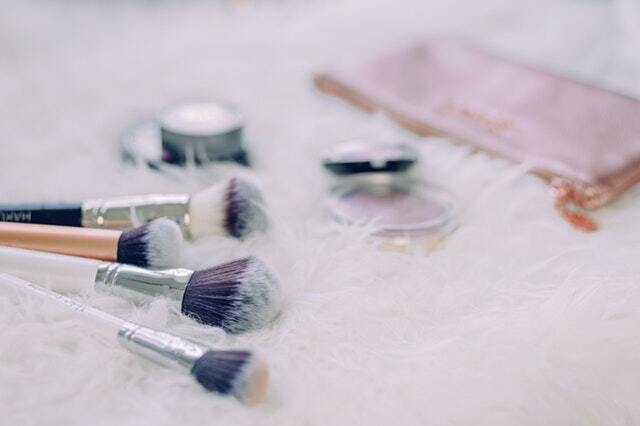 That means you get that beautiful look without exposing you to the harmful chemicals used in conventional makeup. Below are a few easy DIY beauty & makeup recipes with essential oils to get you started. 20-50 drops of peppermint essential oil, depending on how strong you want the aroma to be. This DIY facial toner contains water as a base, as it blends in well with the rest of the ingredients, revitalizes and moisturizes your skin. The same case applies to the apple cider vinegar which is also effective in cleansing, hence preventing breakouts. The peppermint is great for its cooling effects and effective in preventing pore appearance as well as restoring skin elasticity. Also, it adds a blissful scent and is a double win as this aroma has been proven to improve alertness and memory. The rosehip seed oil acts as the carrier base. It is the ideal base as it is lightweight, rich in antioxidants and contains anti-inflammatory properties, hence suitable for irritable skin. As mentioned above, this recipe is for all skin types, and argan oil makes it ideal for those with dry skin. Frankincense is added in abundance as it effective in skin elasticity restoration, skin toning, and cell growth plus it has a pleasant smell. Carrot seed oil boasts the same benefits as well. Ylang Ylang is the ideal natural moisturizer. Mix all ingredients in a dropper bottle and apply every night before going to sleep. This will help diminish wrinkles and leave your skin looking younger and radiant. Acne is quite an irritating skin problem. Besides making your skin appear rough, it also tends to leave evidence behind through blemishes when you finally manage to get rid of it. Fortunately, you don’t have to keep up with the black spots left behind or any other blemishes at that, below is a blemish gel recipe to help you get rid of these irritating spots. One and a half teaspoons of Calendula Gel. An eight ml dropper or lip gloss container for ease of application. The calendula gel is effective in treating minor skin irritations, while the borage oil boats anti-inflammatory and moisturizing properties and at the same time, enables other ingredients to blend in well, hence makes the perfect carrier. Tea tree, on the other hand, boasts antimicrobial and anti-inflammatory properties, thus effective in getting rid of scars, acne spots, and other blemishes. The same case applies to the other ingredients. However, note; lemon essential oil in this recipe is highly photosensitive, hence makes your skin prone to sunburns. Therefore, apply this skin blemish when you are indoors, or at night. Childbirth and motherhood is a beautiful feeling and an unexplainable phase of life. It is the part of life where one goes through a roller coaster of emotions, but those tiny toes and little soft fingers tightly wrapped around your pinky finger takes away all the pain and stress. 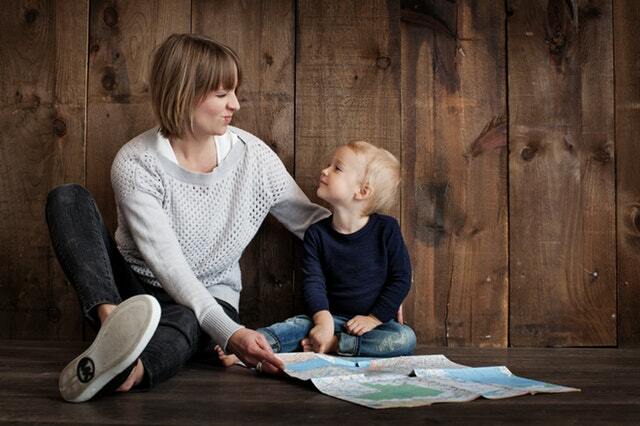 Despite the fact that motherhood is beautiful and joyful and every day brings in new joys with the little munchkins making new explorations and meeting new milestones, it is also true that motherhood is one of the most stressful yet thankless jobs in the world. All the joys that it brings come with an added baggage of countless sleepless nights, sore feet, body aches, migraines, hunger pangs until a time comes when you literally start looking like a zombie. The situation aggravates multiple times if you are a mother of more than one children and worse if you are working mother. No matter how selfless you are as a mother, it is only essential for your physical and mental health as a woman that you take out time for yourself and invest in taking care of yourself. There are a number of women who end up in severe and prolonged postpartum depression and one of the major reason is the paradigm shift that the post-baby life brings to their lifestyle. The only thing that can help a lot in these circumstances is the ability to feel your worth and see your lively face in the mirror the first thing in the morning. Unfortunately, motherhood turns all those spa trips into a luxury that a woman can only long for. If you are one of those mommies who has been known for their beautiful, charismatic personality but has ended up looking dull and exhausted because you cannot manage some regular time out for salon trips and skin care regimes, you need not feel sorry for yourself. Thankfully, there are a number of noninvasive cosmetic procedures that will transform your appearance with long-lasting results and that too in few sittings. The Dore Aesthetics SBF Center in Singapore offers some of the world’s most sought-after cosmetic procedures and that too at a very reasonable price. Here are two cosmetic procedures that every mommy should consider. The worst complementary baggage that those little munchkins bring with themselves is sleeplessness for you. They will not mind waking up for a zillion times in the middle of the night because they are hungry and another million times for a diaper change because they can peacefully makeup for their sleep during the day. Unfortunately, a mother’s sleep dies with the darkness of the night because she has other things to take care of in the day. The final result is an island of dark circles and pigmentation along with eye bags on your face. While makeup hacks such as color corrections and concealers might help you temporarily but you cannot wear them all the time and cannot always take out time to apply half a dozen products just to hide your imperfections while you have to go run some errands. The non-surgical dark circle removal procedures are a perfect answer to your solution. Say goodbye to those marks for good and that too in just a few sittings and feel more confident and beautiful to step out. Even when you have taken care of your dark circles or if things have gotten better for you because the baby has started sleeping through the night, the visible signs of tiredness and exhaustion still remain there. The wrinkles, stretch marks, discolourations and pigmentations can all be taken care of by simple face lifting procedures and you can sport a fresh lovely face despite being a worked up super mom. Skin cleansing is vital to remove any dirt, grime and oil particles that can otherwise be quite detrimental. Use a nice soap-free cleanser to wash your face twice during the day and always clear off any cosmetics on the skin before you lie down, as these can cause dullness and dry patches. A good idea is to make use of a face wipe to cleanse away dirt or any makeup and to properly get rid of those dead cells that tend to amass on your face. You need to have a lucid understanding of the most effectual products for exfoliating, moisturizing and cleansing. It’s recommended to go through online guides and beauty publications that provide the ultimate round up of skin care product reviews to buy the best products. A great way to open clogged pores and eradicate any dirt is to use steam for skin cleansing. It facilitates the softening of skin pores removing blackheads and improving blood circulation, which is great for the growth of new skin cells. For steaming at home, use a mixture of water, rose petals, lemon and mint leaves to clear the pores and ensure you repeat this at least once a week for best results. While it’s great to use a cucumber and milk cleanser, you can easily use cucumbers at home to boost the radiance and revive the natural ph of your skin. Milk contains natural fats that moisturize your skin and help tighten it. Use a handy cleansing mask made of cucumber juice and milk in equal portions and put it on your face for 15 minutes. Rinse off with cool water for a glowing effect. Honey has various antioxidants that slow down the ageing process by combating skin damage. It also has anti-inflammatory properties which are great for thorough cleansing. Use this with lemons, rich in Vitamin C to minimize dark spots and enhance your skin tone. Add olive oil to this mixture in equal parts for added elasticity and a beautiful glowing skin. The Greeks used this superfood as part of their skin nourishment regime. Yoghurt contains essential nutrients great for a smooth clean effect such as enzymes, proteins and lactic acid. The enzymes in milk boost the production of new skin cells and help remove any dead-cell buildup from the face. Use a mixture of lemon, honey and yoghurt to create a splendid cleansing mask with moisturizing properties and apply to your face regularly for a wonderful glow. This is a conversation sponsored by Poise and Walmart but, my opinions and story is my own! I think there are times in all of our lives that we have embarrassing issues and we would rather ignore them then deal with this problem. I know for me after I had my kids I have bladder leakage when I sneeze, or laugh too hard. It not something that is easy to talk about, but I think its important to spread the word that there is help and solutions. This problem makes me feel old and I am often on guard in public situations because of it. There is a product that was introduced by Poise® called Impressa®, that can help prevent bladder leakage from becoming an embarrassing problem. It is unique in that it allows you to deal with it while still be pad free, and by still giving you the freedom you want to do what you want to do. 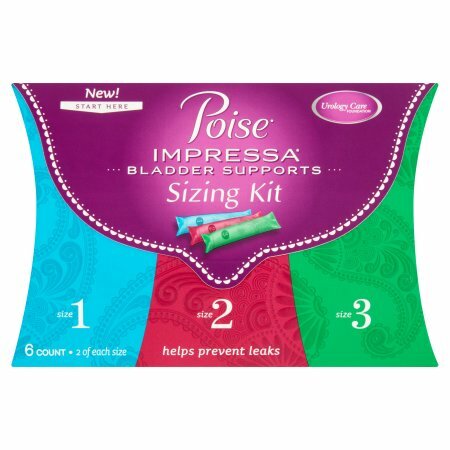 When you visit your local Wal-Mart or even shop online you can find the Poise Impressa® Bladder Supports Sizing Kit and be on your way to living with no urine leakage and no pads. The sizing kit starts with a size one and you use them just like tampon, and insert them vaginally, this provides support for your urethra and bladder so that when you are active or even just coughing you wont push out urine involuntarily. If you get full control and no leaks with the size one then you are a size one and can just buy the size one Poise® Impressa® Size one supports. However, if you are still having leaks with size one you should move forward to the size two, if you are still having leaks then size three may be the perfect fit for you. Everyone is different and the sizing is purely about what fits your anatomy to stop the leaks. Your size is based on internal fit. It’s not determined by your clothing size or how much you leak. The reality is nobody asks for things like this to come into their life, but as we all know things do happen, and I for one am so glad that there are products like the Poise® Impressa® so that I can control leakage and still be pad free. I did not like wearing pads with a period and I don’t like wearing them for bladder leakage, this was an important point for me in choosing to try the Poise® Impressa® Sizing Kit. This is the packaging in my local Wal-Mart store! I wanted to show you what it looks like on the shelves so that when you are shopping it is easier to find for you. It is in the feminine hygiene/personal care department, and they have the sizing kit and bladder supports in the same area. I love that I am now able to live without leaking, no matter what I am doing, and I am loving that I can buy the Poise® Impressa® at Wal-Mart when I do my weekly shopping. Right now is the perfect time try Poise® Impressa® with a special Ibotta offer and you can save $2.50 on the Poise® Impressa® Sizing Kit or $4.00 off any package of Poise® Impressa® Bladder Supports. 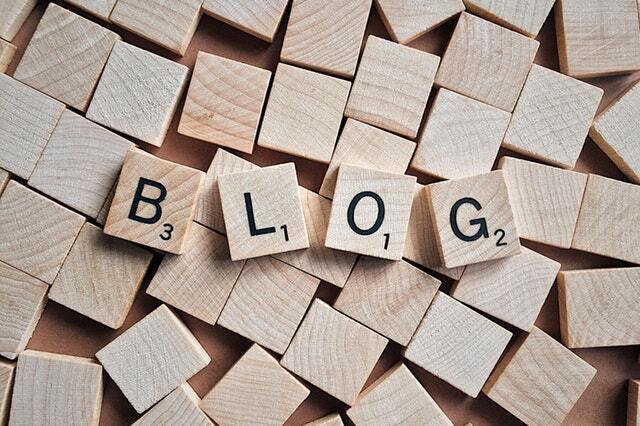 As you probably know I feature a lot of products on my blog and most are related to women, this is one that I will continue to talk about because just because it is embarrassing does not mean we cannot solve the problem. Poise® Impressa®, can help you deal with bladder leakage without a pad and be a part of a plan for no leaks no matter what you are doing. I know for me doing my hair everyday can be a real chore and when I have products that don’t work right for my hair it makes it incredibly frustrating! Black Hairspray has found the perfect formula to make sure you never have a bad hair day again. They sell the top of the line black wigs that will make sure you always have any kind of style and length you want. I am loving all the different options and styles that you can find. Check out how many black wigs there are out there waiting for you to choose one that makes you feel beautiful! Black Hairspray has you covered whether you are looking for real or synthetic hair and they also carry weaves and braids. One of the things that always attracts me to a company is their willingness to stand behind their products and at Black Hairspray they have a no hassle, 30 day return policy, price matching guarantee and offer in-house live chat customer service. That shows me that what they are doing they believe in. If you are looking for a new look, something special for a wedding or special event, Black Hairspray will have exactly what you are looking for. You can count on them to have a great product at a great price that is guaranteed to be what you are expecting.